Visual Composer Frontend editor is the main tool you will use to create your WordPress pages. It is a true WYSIWYG live editor that represents the actual look of how your content will look after Publishing. You can instantly see the end-result of your design work and adjust even the smallest details (ex. padding, color, shape). Element controls (available on hovering the element). 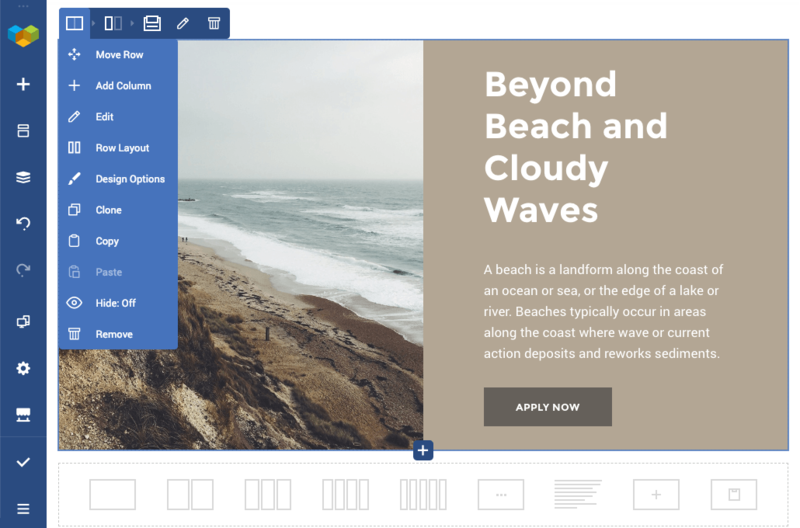 When you use the Frontend editor, you will make changes with the help of drag and drop (align elements), element controls (edit elements), and navigation bar (to access options and tools). Note: Due to the nature of the Frontend editor, all links, auto rotation animations, and similar actions are disabled. For final review, use Preview option.